During Saudi King Salman’s first visit to Egypt in the beginning of April, Cairo announced that it had agreed to demarcate its maritime borders with Saudi Arabia and transfer control of the two islands at the mouth of the Gulf of Aqaba, Tiran and Sanafir, to the Saudis. Saudi Arabia is now tasked with practically upholding the obligations assumed by Egypt for these islands under its peace treaty with Israel. Indeed, the Straits were the casus belli back in 1967, when Gamal Abd al-Nasser cast all caution (and international norms) to the wind and closed them to Israeli shipping. Eilat is a strategic asset and the terminus of Israel's trade with much of Asia and Africa. 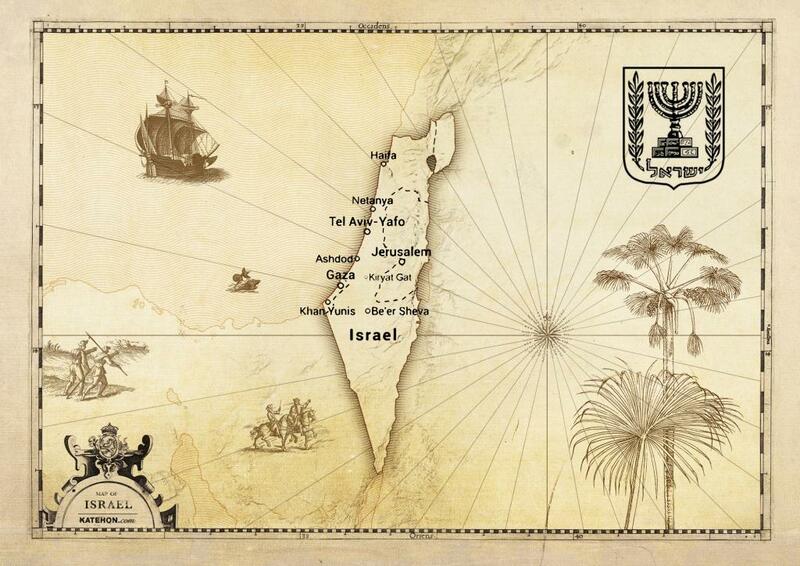 Even the secretive Protocol of Sèvres signed by Britain, France and Israel in October 1956 had included an explicit reference to Israel's need for the two islands. Israel captured the islands in the Six Day War, but the 1979 Peace Treaty between Israel and Egypt returned them and codified Egypt’s commitment to international norms regarding freedom of navigation and the islands. Saudi Arabia is now the country responsible for controlling these choke points to Israel’s main waterway between Africa and Asia, and this development indicates the overall shift in the tides of the Middle East. The military appendix of the 1979 Egypt-Israel peace agreement divided the Sinai Peninsula into four zones, with Tiran and Sanafir designated as part of Zone C, i.e., areas where only the Multinational Force and Observers and Egyptian civil police equipped with light weapons could go. Because of the islands’ strategic sensitivity, and the fact that they are part of the peace agreements between Egypt and Israel, the transfer of at least their formal sovereignty to Saudi Arabia (Egypt will apparently retain military control of the islands for another 65 years) could not have been done without Israel’s involvement. As it indeed turns out, officials in Jerusalem have praised the deal, affirming that the agreement was reached between four parties - Saudi Arabia, Egypt, Israel and the US - as a result of hushed talks between the four parties. But as much as the deal says about the under-the-radar relationship emerging between Israel and the Saudis, it says even more about Saudi Arabia’s growing relationship with Egypt. During Saudi King Salman’s first visit to Egypt since his inauguration in early 2015, the Saudis agreed to set up a $16 billion investment fund in Egypt and give the Egyptian economy an injection of a few more billion dollars through trade and investment agreements. This agreement has enormous positive ramifications for Israel for those Israeli experts who have set the priority of expanding cooperation with the Sunni axis now struggling against the Shi’ite axis headed by Iran. Israeli experts are trying to explain that the growing relationship between Saudi Arabia and Egypt is positive for the stability of the region and surely matches Israel’s interests. But the only thing that is really sure is that the Saudis are positioning themselves for a leadership role in the new Middle East, and they understand that they need Egypt, which is the largest country with the strongest army and powerful influence. Israeli experts estimate that the only way to control the region is to do so hand-in- hand with Egypt, or by cutting ties between Egypt and Iran. Control over the whole Middle East is becoming a central question in the big-picture struggle being waged throughout the region. While some have divided this fight for hegemony into two competing camps, Sunnis vs Shi’ites, other analysts of the region have presented a different take, and claim that there are in fact four camps vying for control: Iran, the Islamic State, the Muslim Brotherhood, and what they call the “regional forces for stability”, i.e., a camp that includes, among others, Israel, Egypt, Saudi Arabia and Jordan. The significance of the Saudi-Egyptian agreement, in their opinion, primarily lies in its strengthening of this final camp. From an Israeli perspective, anything that contributes to Egyptian stability is good. This move helps Egyptian stability because, in exchange, the Egyptian economy will get a cash infusion of billions of dollars. In addition, this will likely draw Egypt closer to Saudi Arabia’s position on Iran, which is much closer to Israel’s position on the matter. This is equally in the absolute interests of Saudi Arabia given its intention to become a regional leader. As follows, it is additionally in the USA’s interest to maintain friendly relations with the Sunni camp in the Middle East, especially following the conclusion of the nuclear deal with Shi’ite Iran. Most probably, the USA is calculating which moves can be made next to keep Saudi Arabia under control in the near future. This might include leaking accusations about the involvement of senior Saudi Arabian representatives and the Royal House of Saud in terrorist attacks such as 9/11. However, this is one of the more risky moves that could heighten tension in the region. Egypt, on the other hand, does not have any substantial interest in transferring the islands to the Saudis besides the money it will receive from Saudi Arabia, which in effect will render Egypt a vassal state. Although Israel projects that it could benefit from a stronger Saudi Arabia, with whom it would maintain only secret, rather than open diplomatic, relations, this new arrangement could leave Israel in an inferior , uncertain position subject to the dictates of the Saudis’ ambitions. Saudi ambitions, moreover, are much larger than mere regional ones. As it is well known, Saudi Arabia finances Wahhabists in Europe and the Balkans in particular. It is thus no wonder that CIA Director John Brennan arrived in Bosnia after visiting Saudi Arabia, where he met with senior officials from six Sunni Arab nations with the objective of coordinating efforts in the conflicts in Iraq, Syria, and Yemen. In his series of visits across Europe, the CIA chief also discussed terrorism and measures of counter-terrorism which, quite obviously, had been worked out with Saudi Arabia beforehand.